NOTICE: This website has been moved to http://library.calvin.edu/guide/collections/hh/. Please update your bookmarks. 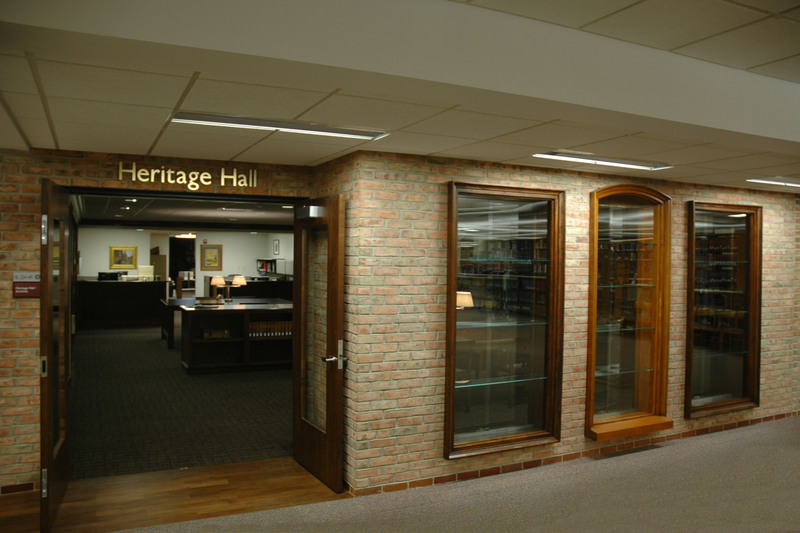 Heritage Hall has and makes available for research the records of Calvin College, Calvin Seminary, and the Christian Reformed Church in North America. In addition the collection holds the personal papers of the college and seminary faculty and staff, ministers in the denomination, and letters detailing the Dutch migration and the impact of this migration on North America. You can search and browse a limited selection of our finding aids online. Our entrance is on the main floor of the Hekman Library, just to the south of the Information Desk.